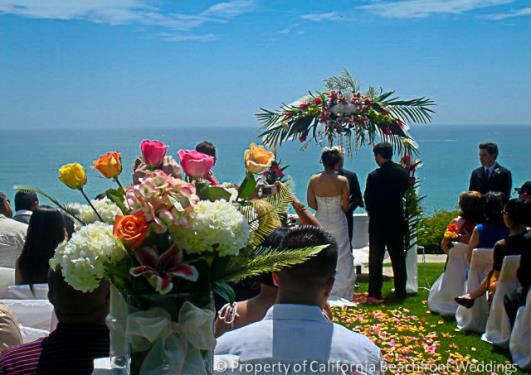 We provide Affordable Wedding Ceremonies in Orange County & San Diego County. Packaged Specials with Arches, chairs, chair covers, sashes, wedding flowers, Southern California ministers, wedding cake & champagne toast, Orange County and San Diego County wedding designers & coordinators, Bridal Hair, Make-up artists, wedding photography, Wedding Music, Professional Harpist or Violinist, Dove release, Butterfly release. To assist your every need along the way to your special day. 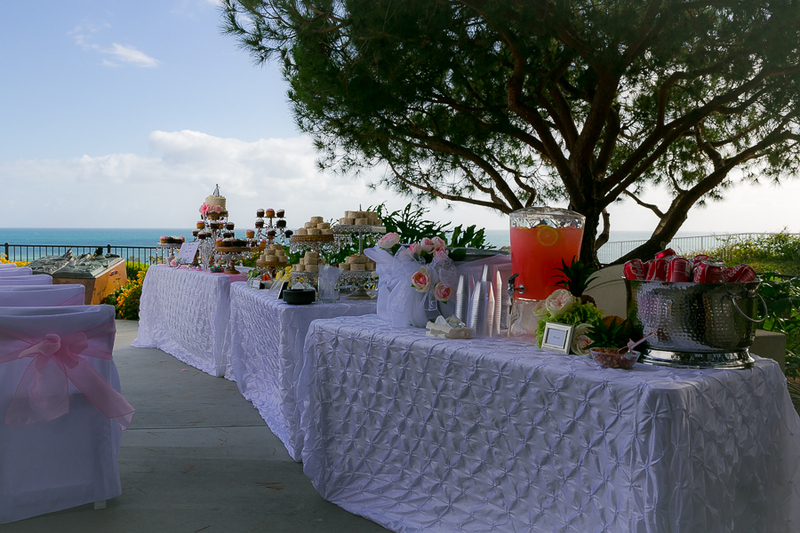 We specialize in California Beach Weddings & California destination weddings; for the bride who wants to invite friends and family for a " Get-A-Way" and celebrate her wedding day. Come play and frolic in lovely San Diego & Orange County, California .
" 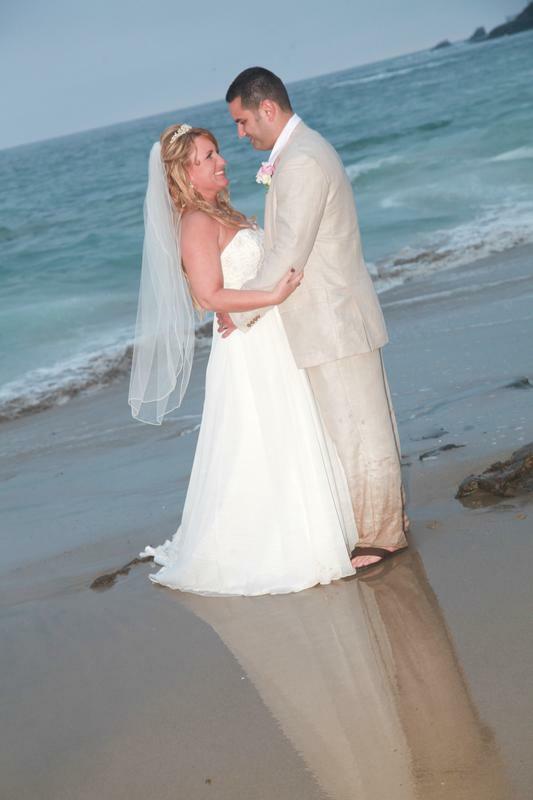 Find your dress & we'll do the rest" .... that's California Beachfront Weddings. You'll be surprised how affordable Elegance & Romance can be! 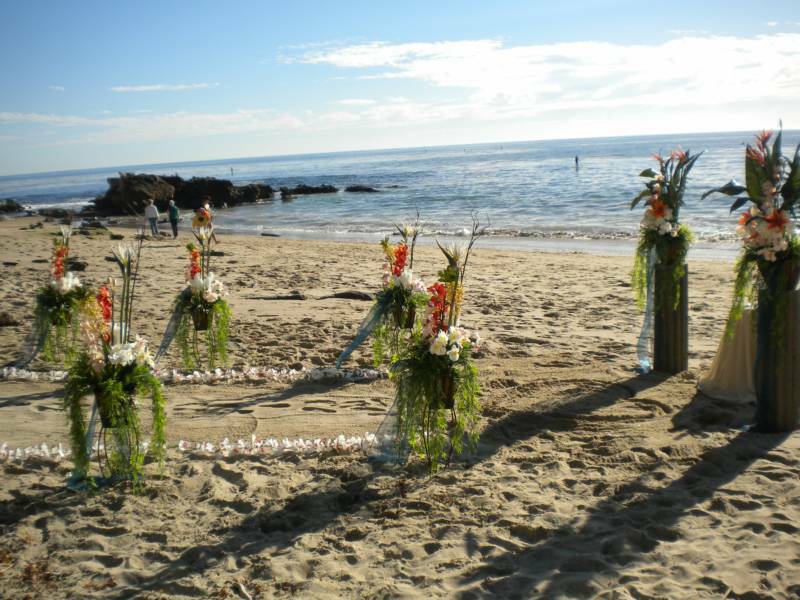 Top California Beach Wedding Sites, Southern California Wedding Locations, and Beach Weddings in California. "Your wedding can be as simple or elaborate as you desire. We listen to your wishes and do our utmost to keep you within your selected range of spending; without compromising your event!" "Find Your Dress & We'll Do The Rest"
Copyright© 2019 California Beachfront Weddings/ This site may not be reproduced or copied without express written permission.